Jonathan's Place provides a safe, loving home and gives specialized services to children who have been abused, abandoned or neglected. Leah and Micheal Slaughter, Owners of OmniKey Realty, have adopted 3 beautiful children from this organization and have welcomed them to a safe home! Join OmniKey Realty on November 17th from 4pm-7pm for bowling, food, silent auction, and tons of fun benefitting Jonathans place! 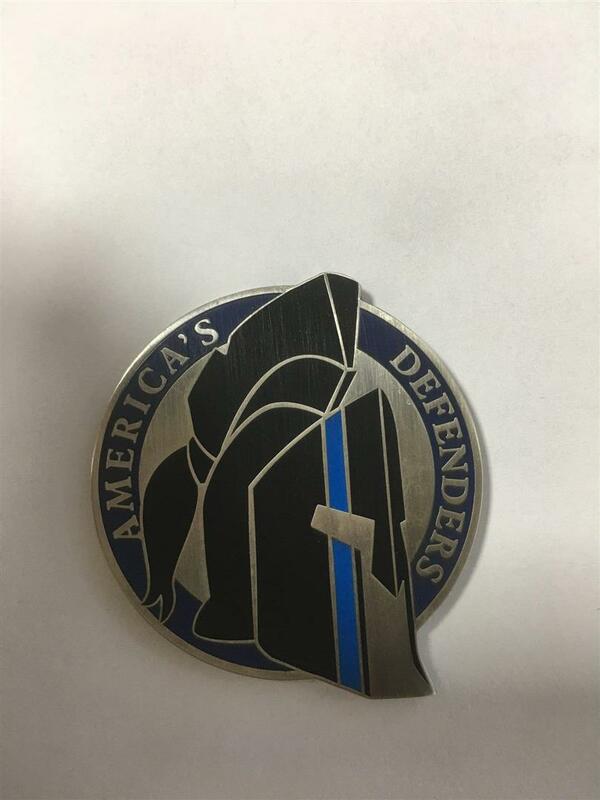 On Saturday, April 14, 2018 the America's defenders Foundation is hosting the Thin Blue Line Ball at the Sheraton McKinney Hotel. This event is held to honor fallen and celebrate the current law enforcement officers. The Thin Blue Line Ball consists of an honor guard presentation, ceremonies, dinner, and entertainment. This year, each couple or individual guest ticket will receive a challenge coin free upon entry. 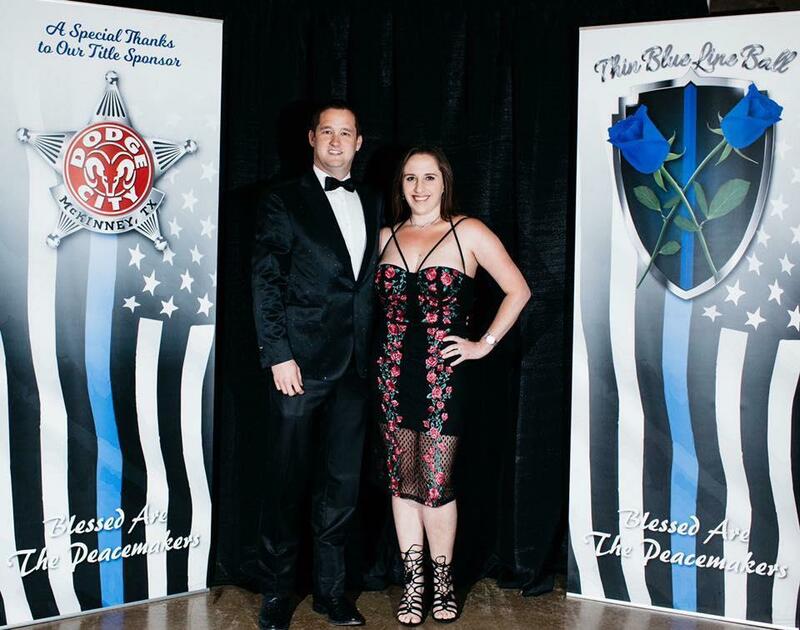 On April 29, 2017 we were the entertainment sponsor at the Thin Blue Line Ball in McKinney, TX. This event was near and dear to Michael and Leah's heart, honoring those who have fallen and are currently in law enforcement. There were keynote speakers, ceremonies, dinner and entertainment at the ball. Gordon Firth representing OmniKey at the Toys for Tots drive. 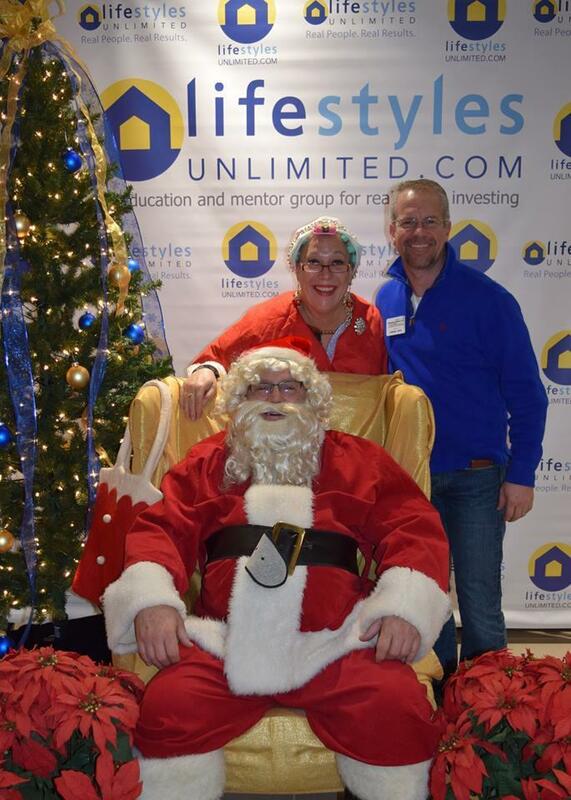 The first in our office to get a picture with Santa! We are collecting donations at our office for our military overseas and for Hope's Door! Anyone who wants to bring something to contribute, we are sending supplies to one of our battalions of soldiers overseas who are in need of some basic necessities. One of our owner Michael's colleagues used to serve with them. Please don't feel obligated, but we appreciate anyone who can bring even the smallest thing that we can send over there. Some examples of items they need in the basic toiletry category are soaps, shampoos, conditioners, deodorant, toothpaste, toothbrushes, safety items like safety glasses or gloves. Some examples of morale items they need are holiday decorations, small travel games, and anything that you think you would like if you were in the middle of the desert. We are also collecting for our K9 soldiers overseas who need kong brand toys, USA only made dog biscuits, cooling blankets, collapsible silicone bowls, cots, etc. Hope's Door is helping families affected by domestic violence. For information on needed donations- please visit below. Please drop any items by our office by no later than December 15. We appreciate your support! OmniKey Realty prides itself on being able to give back to the community that has blessed us with such success. Throughout the year, Michael and Leah Slaughter find charities that are near to their hearts and support these by giving time, money, and assistance. In 2016, OmniKey found the Einstein School of Plano. The Einstein School is a private school serving students grades 5-12. As their website explains, they combine a rigorous college preparatory curriculum with developing students with the ability to think creatively. They help to arm students with knowledge and the ability to apply what they have learned in real world situations. OmniKey has been thrilled to be able to help support their ideals by donating electronics and helping to cover the cost of a new IM therapy and equipment. We have also given financial donations to help them with advertising expenses to bring more children to the program who could benefit from it. For more information about the Einstein School, please visit their website theeinsteinschoolplano.com. Saturday, April 25, 2015 we sponsored an event for Paws In The City. This organization works tirelessly to help curb the number of animals that are euthanized at many of the local city “kill” shelters. The event, Spring Fling, was an absolute success and allowed Paws to earn over $300 in cash donations and adopt out 5 dogs! The event was held at our office location, Firewheel Town Center Mall in the courtyard. We sponsored a raffle to benefit Paws In The City. 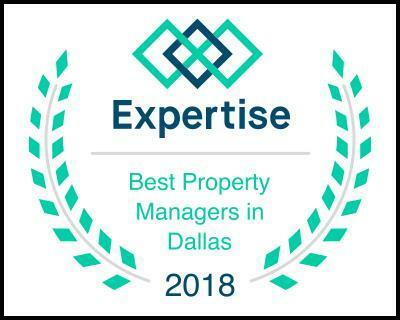 We continue to support these great organizations just like the ones we have supported in the past including but not limited to Jonathan’s Place, North Texas Food Bank, Dallas Animal Services, Collin County Humane Society, and Paws In The City to name a few. We would not be able to support these excellent organizations without the wonderful clients that we serve daily. Keep an eye out for our next project which will always be posted on our facebook page. The Emergency Shelter serves children between newborn and 17. We are the only organization in Dallas County that provides emergency residential services to children under the age of 10, therefore ensuring that sibling groups are never separated. Each child that comes through our doors receives medical and dental care, psychological assessments, and weekly individual and group therapy sessions. Our specialized staff spend private time with each child assessing their needs. Children stay in our shelter for an average of three to four weeks before they are placed into permanent placement. The Girls Residential Treatment Program serves girls between the ages of 10 and 17 in need of therapeutic residential care and specialized professional services. These girls have experienced trauma, including, but not limited to, neglect, abandonment and physical, emotional and sexual abuse. The Girls Treatment Program is the only licensed residential placement option in Dallas County for young ladies between the ages of 10 – 17. Through therapy, educational opportunities and a family environment, the program provides the girls a sense of security and safety, self-confidence, assistance with succeeding in school and the opportunity to enter the workforce or attend college. The Foster & Adoptive Family Program is designed to recruit potential foster and foster-to-adopt families. We provide a comprehensive training program for potential foster and adoptive families that also includes thorough reviews and home studies. In Dallas County, no other agencies that provides foster care and adoption services have the ability to provide a continuum of care from emergency placement in a shelter to placement with a foster or adoptive family to, ultimately, adoption. Visit http://www.jpkids.org/ for more information.